In the video below Schellas Hyndman, current Men’s Soccer Head Coach at Grand Canyon University, leads the 2 v 1 Attacking drill as part of his Exercises to Train the Striker demonstration at a recent Glazier Soccer Clinic. Coach Hyndman, who has over 30 years of coaching experience, has excelled at both the collegiate (Eastern Illinois, SMU) and professional (FC Dallas) levels. This drill is set up with two groups of offensive and defensive players. The offensive players are about 40 yards away from goal and the defensive players start by one of the goal posts. One defensive player passes out a ball to two offensive players which starts the 2 v 1 to goal. The two offensive players are attacking together and trying to score a goal. The defensive player is trying to win the ball or force a bad shot. Once a goal is scored, shot missed, pass stolen, etc, the players go back to their lines and a new ball is played out. Scoring goals – This is a striker’s main job responsibility and it’s very simple. Put the ball in the back of the net. 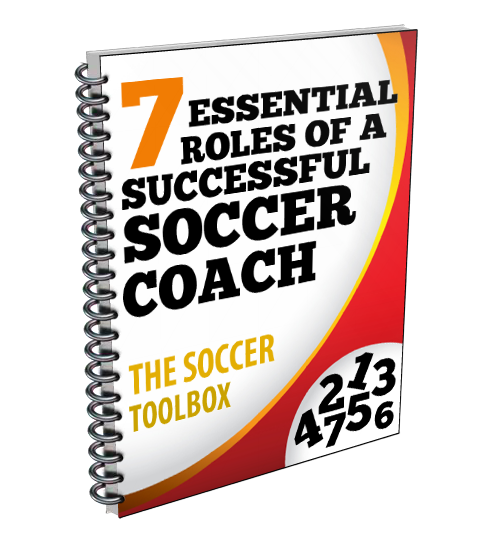 Create goals (assists) – Another important job for a striker is to create goals for others. If they are not scoring goals, then they should getting assists for other players to score. Make yourself available – Strikers need to always be looking for the ball and how to get it. Whether it’s checking back for a pass or making a run into the box, strikers need to make themselves available for their teammates. Hold the ball – A very important job for a striker is to hold the ball. Once a striker receives a pass, they need to keep it and not give it away. This allows midfielders and other offensive players time to get forward and creates a more dangerous attack. First line of defending – Most strikers don’t like to play defense, but the reality is that they are the first line of defending. Your team will be stronger and better off if strikers learn to play defense and help the rest of the team. To gain access to Coach Hyndman’s full presentation, as well hundreds of other great clinic presentations, click the link Glazier Clinic Vault. Click the arrow to play. The clip has sound, so please make sure that your sound is on. Really great excercie. Thank you.